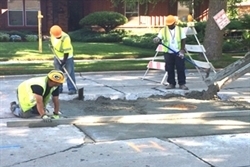 Compete Milwaukee is a partnership between the Mayor, Common Council, workforce development agencies and private employers, created in 2014, with the goal of connecting unemployed and underemployed Milwaukeeans with employment opportunities. It accomplishes this by providing unemployed city residents temporary work in a variety of professional disciplines, while at the same time providing job readiness training, career counseling and ultimately, a pathway to family supporting employment. Earn $11.32 Per Hour/40 Hours per week - 6 Month Work Experiences APPLY TODAY!!! Have an annual household income that is less than 150% of the federal poverty guideline for the household size. *QUALIFICATIONS BASED ON TRANSFORM MILWAUKEE JOBS (TMJ) ELIGIBILITY CRITERIA. WORKSITE PRE-PLACEMENT REQUIREMENTS MAY ALSO APPLY. 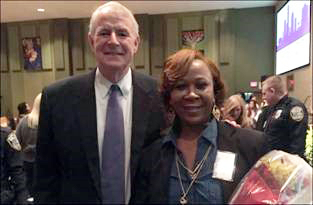 Compete Milwaukee Alumni, Jacqueline Matheny, recognized by Mayor Tom Barrett at the 2016 Mayor’s State of the City Address.